A native of Acadie, or rural New Brunswick, La Sagouine is a cleaning woman, and former prostitute, in her 70s. In his preface, Maillet writes that she found her “down there with her mop and her rags,” telling stories. La Sagouine is a series of those monologues: “On Pews,” “On War,” “On Spring,” “On Death.” La Sagouine, who complains of water on the knees, holds forth while she scrubs floors. She shares some gossip, some worldview, and muses on tough questions: if God made the world, who made God? And what is the true nationality of an Acadian? Along the way, almost by accident, she not only sketches her own life story, but the history of Acadia and its people, including the Expulsion to Louisiana. There is no plot to speak of here. This is, rather, a collection of reflections. 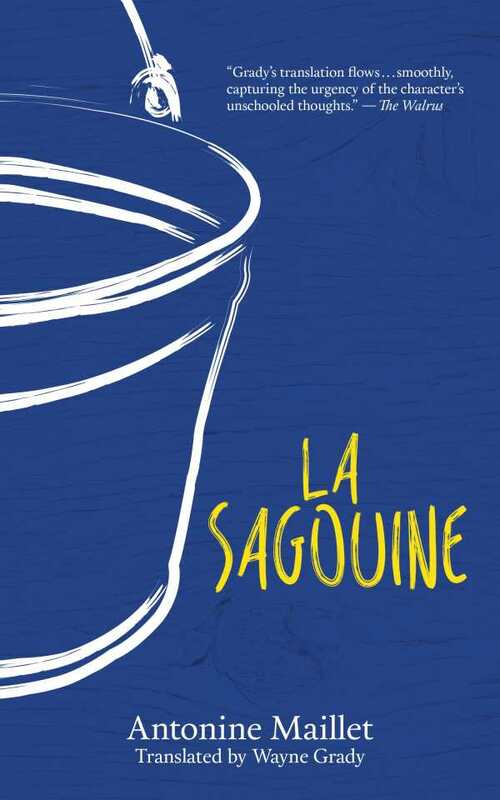 La Sagouine is a richly portrayed character, charming and indelible. Her development and inimitable voice is perhaps the finest feature of this enchanting work, but it is not the only one. Her perspective and style show an attention to detail and contribute to a nuanced tone of humor, humility, and subtle wisdom. Her spirit is sage and optimistic despite her circumstances: “It’s not having a thing that makes a person happy, it’s knowing you’re going to get it.” In the chapter “On Christmas,” La Sagouine is at her best, wondering, without a sense of irony, at the differences between rich and poor people’s experiences of the holiday. In its disarming moments of insight and comedy, and its contribution to the singular history of Acadia, La Sagouine entertains, beguiles, and enthralls. Grady’s translation perfectly captures the distinctive voice at the heart of this story.